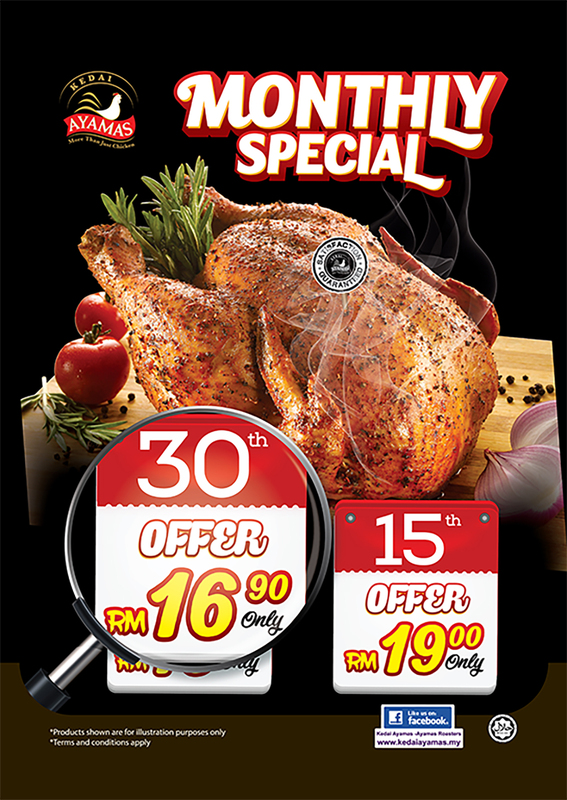 Customers can now enjoy great savings on Ayamas whole roasters every 15th and 30th of the month priced at RM19.00 and RM16.90 (per bird) respectively (normal price RM23.50). With the tagline “LEBIH JIMAT”, the roasters are sold at RM16.90 on the 30th and RM19.00 on the 15th of every month. 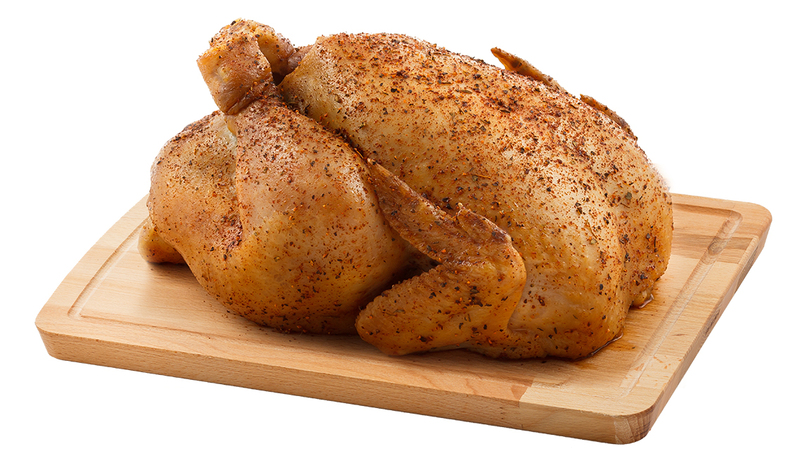 Customers can choose from the existing range of succulent whole roasters namely the Golden Roaster – marinated with honey, for that authentic Ayamas roaster flavor, Pepper Roaster – specially developed for all those black pepper lovers, and the Percik Roaster – infused with a unique aromatic coconut and lemon grass flavor. 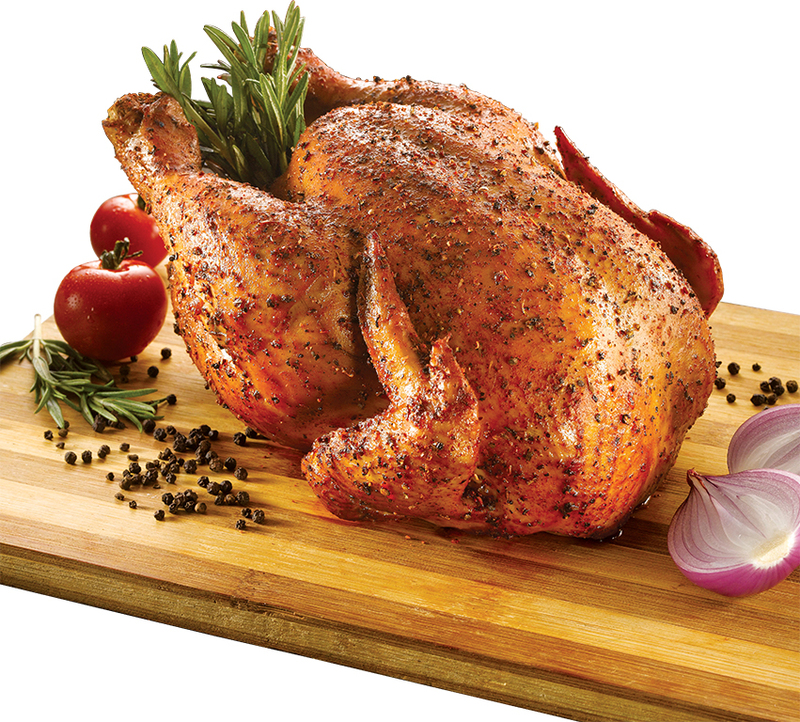 This incredible ongoing promotion will give Ayamas Roaster’s fans the chance to indulge in their favourite roast chicken as often as they would like without tearing their pocket. Launched since last year, these offers have received encouraging response from customers. The advertising and promotion for Ayamas 15th and 30th Offer includes in store marketing materials, neighbourhood leaflet drop and online/social media for a wider reach to customers. In addition, customers can call Ayamas delivery service at 1-300-88-2323 with minimum purchase of RM15.00 and RM3.20 for delivery charges. * Customers can call and order from 10 am – 9 pm everyday with 25 Minutes delivery time guaranteed, or you’ll receive a Cash Voucher of RM5! For more details about Kedai Ayamas, visit www.kedaiayamas.my or logon to Kedai Ayamas – Ayamas Roasters Facebook Page.